Tim Warchocki, creator of Robotki Robots, speaks to Mrs. Spelman’s enthusiastic sculpture class at Bishop Moore High School in Winter Park, Florida. Mr. Warchocki spoke about his robot creation process, and then unveiled a brand-new robot to the assembly. 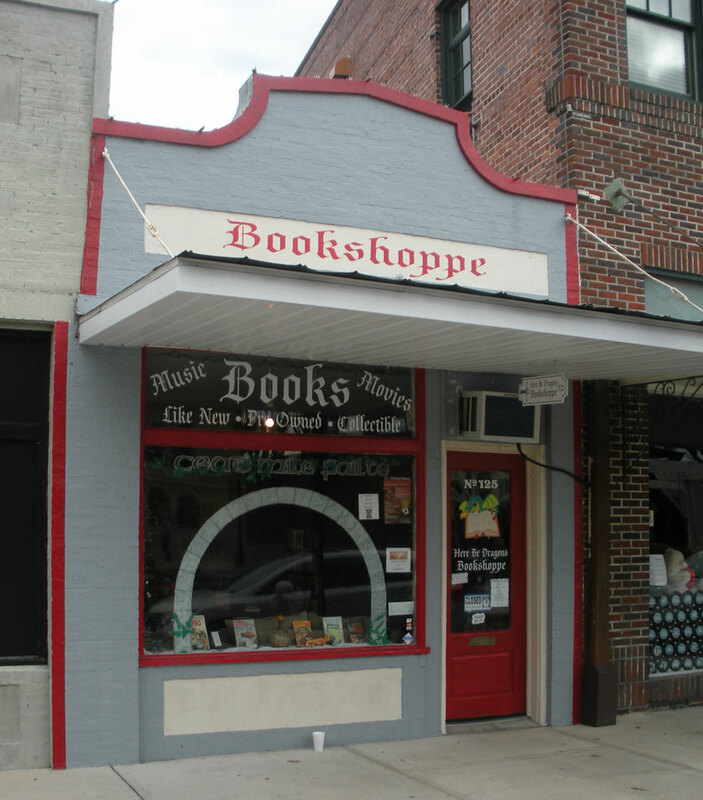 “Here Be Dragons Bookshoppe” located at 125 W Plant Street in downtown Winter Garden, Florida graciously feature several Robotki Robots in their store. They are open Mon 12pm-6:30pm; Tue-Thu 9:30am-6:30pm; Fri 9:30am-8pm; and Sat 10am-8pm. 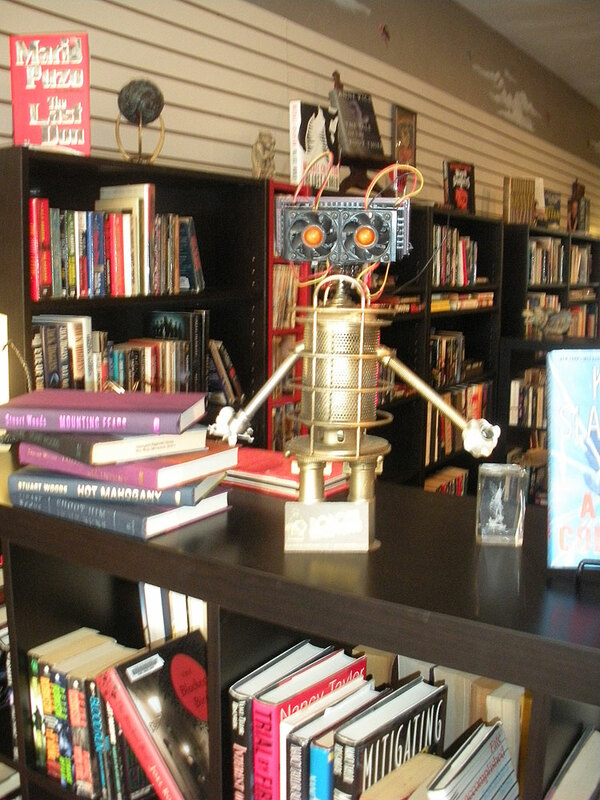 Come see their huge selection of used books and check out our robots! Disaster Strikes the Robotki Family (for a third time)!!!! Sadly, this poor young robot suffered a fatal accident only one month after her activation. She took a tumble off the shelf at Action Comics and broke her mainframe. 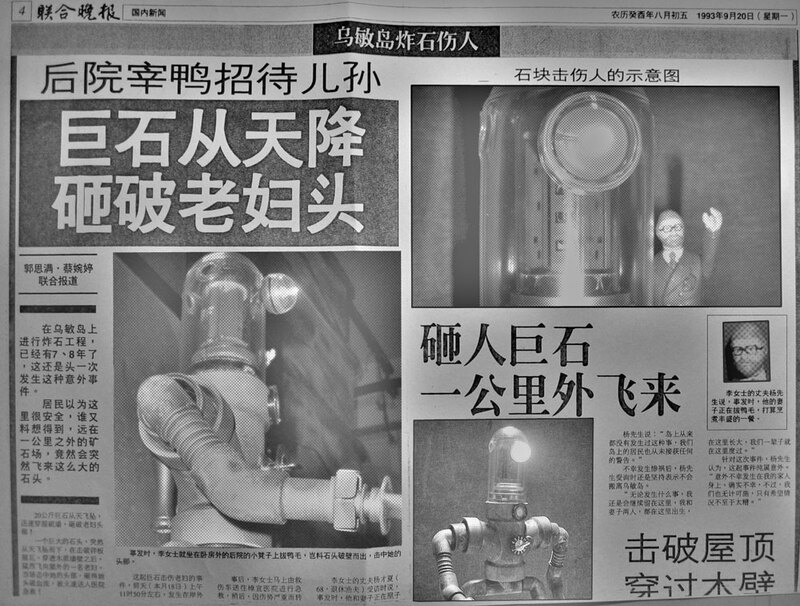 Ironically, the robot was assembled from parts of a robot that suffered the same fate only a few months prior at the Oakland Heritage Festival. 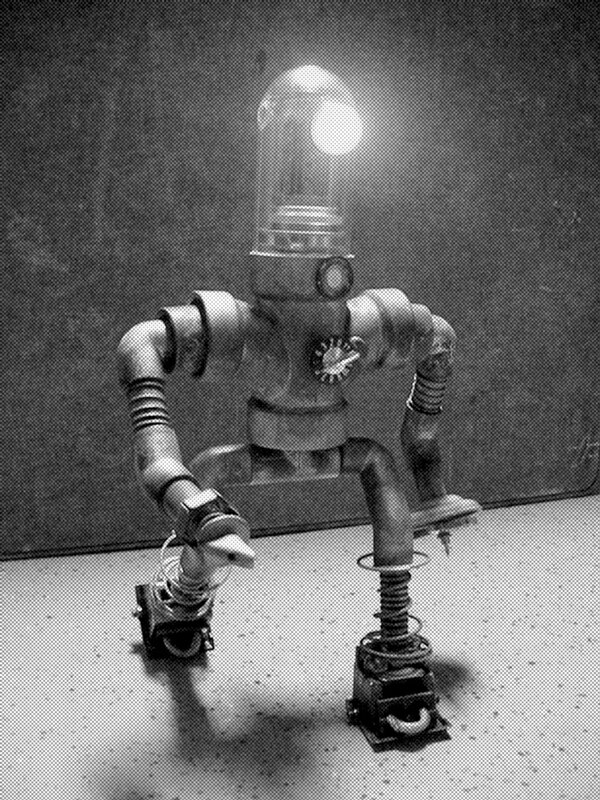 Parts of this robot were re–re-assembled into a brand new robot lamp. You can see it here. Please send us photos of your Robotki! We want to see where they live now. Feel free to be creative with it! 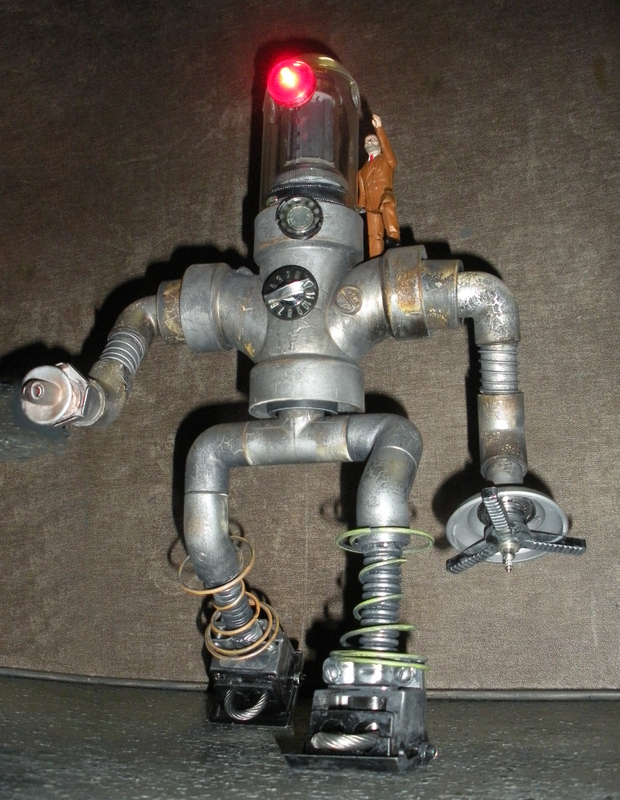 We’ll feature them right here on our humble website robotkirobots.wordpress.com like these!